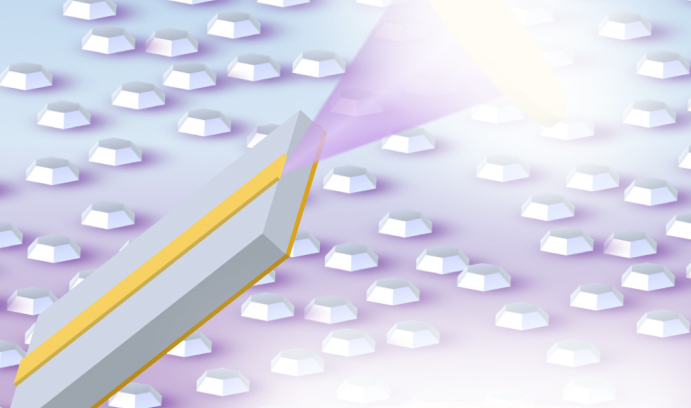 Printable circuits with silver nanowires; self-assembled perovskite LEDs; improving LED efficiency. Scientists at Duke University compared the conductivity of films made from different shapes of silver nanostructures and found that electrons move through films made of silver nanowires much easier than films made from other shapes, like nanospheres or microflakes. In fact, electrons flowed so easily through the nanowire films that they could function in printed circuits without the need to melt them all together. Currently, printed electronics must be heated to melt all the nanoparticles together into a single conductive wire. In the experiment, silver nanostructures were created with different shapes, including nanoparticles, microflakes, and short and long nanowires, then mixed with distilled water to make simple “inks” which were placed in wells on glass slides to create thin films. While the team expected the long nanowire film to have the highest conductivity, they were surprised at just how drastic the change was. 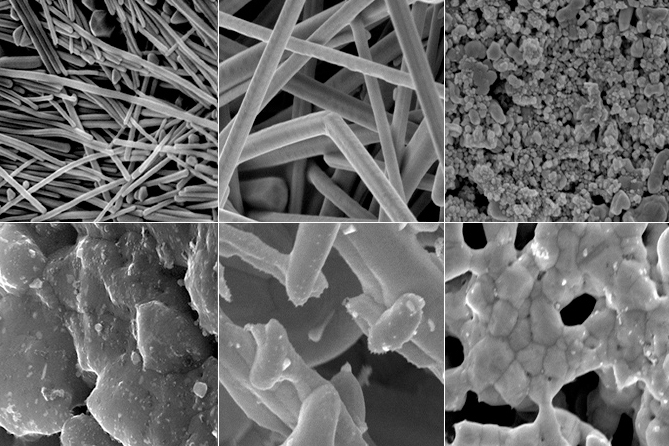 “The resistivity of the long silver nanowire films is several orders of magnitude lower than silver nanoparticles and only 10 times greater than pure silver,” said Ian Stewart, a recent graduate student in Wiley’s lab. The team is now experimenting with using aerosol jets to print silver nanowire inks in usable circuits. They also want to explore whether silver-coated copper nanowires, which are significantly cheaper to produce than pure silver nanowires, will give the same effect. Researchers at Princeton University are exploring perovskites as a potential lower-cost alternative to gallium nitride and other materials used in LED manufacturing, and developed a technique in which nanoscale perovskite particles self-assemble to produce more efficient, stable and durable perovskite-based LEDs. “The performance of perovskites in solar cells has really taken off in recent years, and they have properties that give them a lot of promise for LEDs, but the inability to create uniform and bright nanoparticle perovskite films has limited their potential,” said Barry Rand, an assistant professor of electrical engineering at Princeton. “Our new technique allows these nanoparticles to self-assemble to create ultra-fine grained films, an advance in fabrication that makes perovskite LEDs look more like a viable alternative to existing technologies,” Rand added. To address this, the team added a long-chain ammonium halide to the perovskite solution during production, which dramatically constrained the formation of crystals in the film. The resulting crystallites were much smaller (around 5-10 nanometers across) than those generated with previous methods, and the halide perovskite films were far thinner and smoother. Researchers at Lehigh University and Sandia National Laboratories propose a significant change to the engineering of the light-producing regions of LEDs, which they say can be made possibly twice as energy efficient. Given that lighting accounts for approximately 20% of global energy consumption, there is a potential for enormous energy savings. 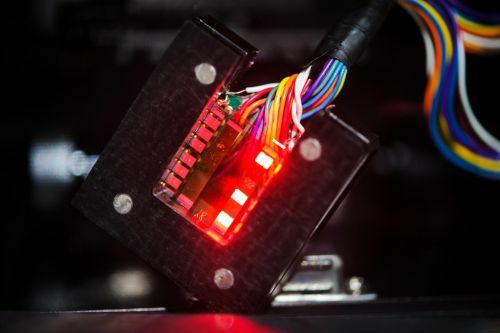 The team argues that by using quantum dots in place of the quantum wells that now produce light in many LEDs and laser diodes, engineers can circumvent the phenomena that limit the efficiencies of the two technologies. Quantum dots emit light at specific frequencies when an electric current is applied to them. By changing the size, shape and material composition of the QDs, engineers can tune these frequencies. Quantum wells confine electrons and other particles in one-dimensional, rather than three-dimensional spaces, in ultrathin layers of sandwiched materials. Carriers are injected into these layers at different energy states, and they recombine to produce the photons that give light. A phenomenon called Auger recombination interferes with this process in the materials that make up modern LEDs, said Jonathan Wierer, an associate professor in the department of electrical and computer engineering at Lehigh, and can prevent light from being emitted, causing “efficiency droop” in LED performance. Auger recombination occurs in semiconductors when an electron and electron hole recombine and give up their energy to an electron (or hole), increasing this electron’s energy while preventing or limiting the formation of the photons that emit light. In search of a solution, the team compared the recombination physics of quantum dots with quantum wells, and found quantum dots less susceptible. The group has begun to conduct experimental studies using etching and growth techniques to fabricate quantum dots, with the goal of making them smaller in size and of a uniform dimension and even distribution.